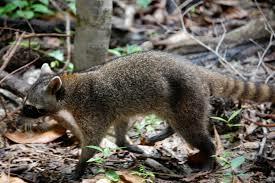 Crab-eating raccoons are much smaller and graceful and have shorter fur than their north-American relatives. Crab-eating raccoons are living close to the waters. They are nocturnal and feed on fish.